The authority announced in March it would be axing some subsidised journeys, focusing on routes that had suffered a drop in passenger numbers. Among those being stopped from Monday are two Sunday evening services on the X17 route between Aberdeen and Westhill. 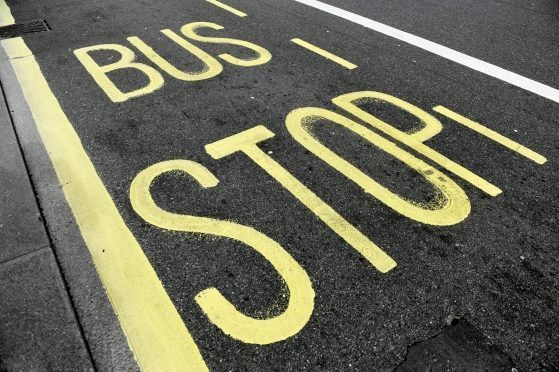 Aberdeenshire Council’s head of transportation, Ewan Wallace, said: “The journeys and services being withdrawn simply weren’t being used often enough to justify the money being spent on them. “We keep the performance of the services we support under review and the funding that is being withdrawn is based on this work. “Other services will see under-used elements reduced, while retaining those parts of the service which continue to be popular and well used. In the case of service 252: New Deer – Mintlaw – Fraserburgh (see terminations), Central Buchan A2B dial-a-bus will commence operation 30 minutes earlier than at present, allowing passengers currently travelling on service 252 to use the dial-a-bus service to connect at Mintlaw with alternative services to/from Fraserburgh. Please note: this story has been amended to clarify that the services being withdrawn are only those subsidised by the local authority and not, as we reported incorrectly earlier, commercially-operated routes such as the X17. We apologise for any confusion caused to passengers.